Winter without snow seems/looks so wrong, glad you got a nice dump to play in, even if it has pretty much shut down the rest of the country UW2 is looking sweet. What air pressure were you running in that cold/snow in those Bonti's? Well thanks for reading what I said up there ^^ LyNx! Ha ha! Started off at 15/14 and ended up at 9/11. Dude, honestly, there were just too many pretty pics, so missed that part when I was doing a quick check this AM Curious what you normally run on trails? I find that I run nearly the same sort of differential front to rear as on my narrower tyres, about 3-5 PSI different front to back, so normally somewhere around 15-16 rear and 10.5-11.5 in the front. Run my 2.3" setup about 20-21 front and 24-25 rear. I normally run 15-16 rear and 13-14 up front on the 29 plus 27/24 on 29x2.4/5” tyres. 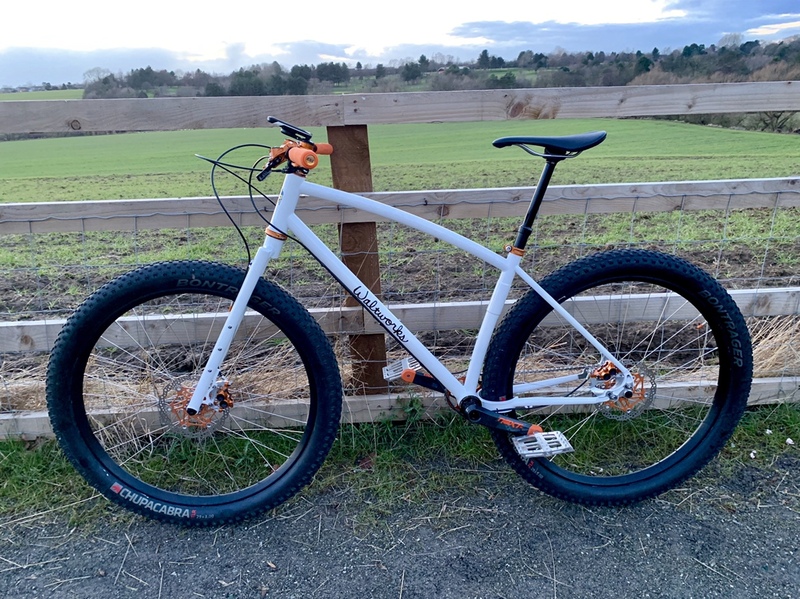 On my 29+ I run 12/12 f/r maxis DHRIIs on 39mm rims. On my suspension bike with 29x2.6 I run 15-16/18-19. On 29mm rims. 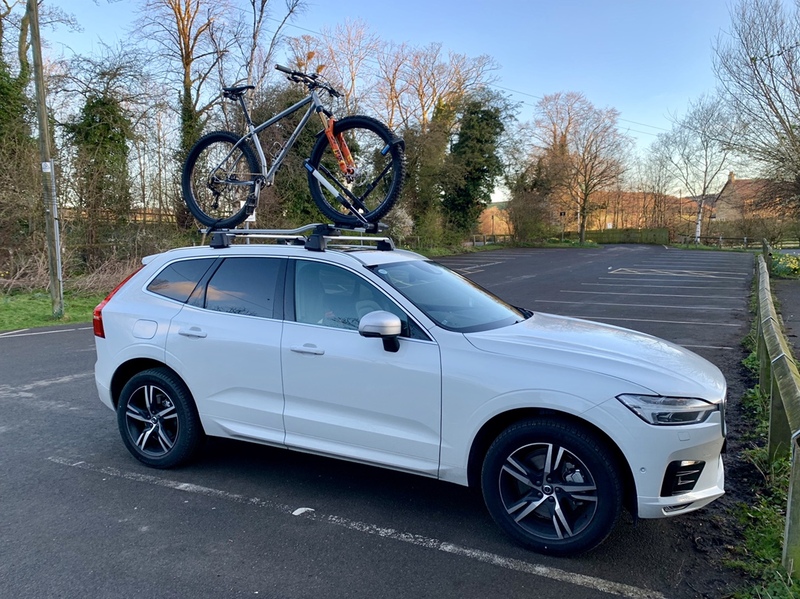 Both bikes on carbon rims. With gear I weigh about 235 pounds. Do you not get “moon bounce” running that low? I know I could get away with less air but only a few short years ago I was pumping normal tyres up to around 40psi and making good of it, back when I thought a harder tyre rolled better! 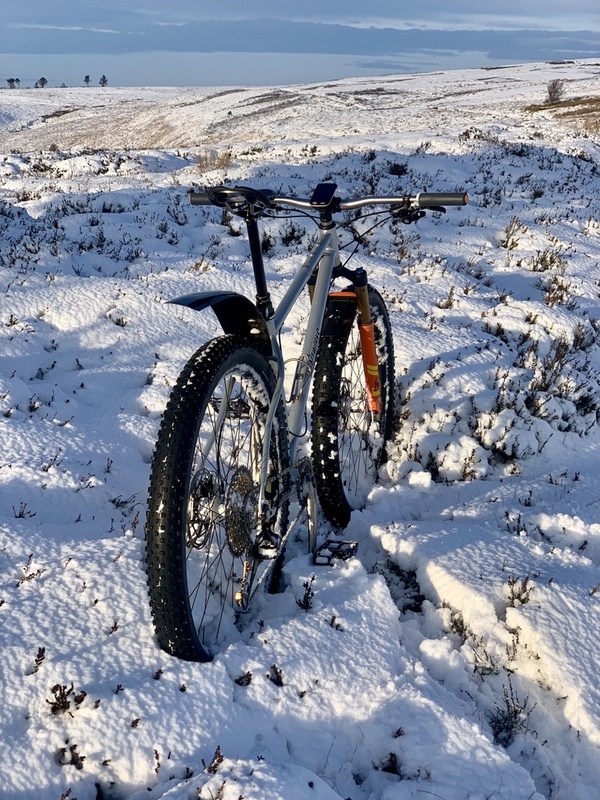 Only had time for a short ride and having gone for my gears on more occasions than I’d like she feels as awesome as ever, although noteably shorter and higher than Maggie (UW2) which makes sense. Still wants to pop wheelies and hop everywhere though! Needless to say, I felt a huge grin on my face whilst riding her! Thank you Walt for your massive amount of hard work on this, once more. She’s a beauty! That paint really is killer with the orange parts! Glad you’re happy! I’ll get a little bounce if my pedaling gets sloppy when going all out on paved roads. I only ride about 1.3 miles of pavement to/from the trails and I’m not usually really getting after it. 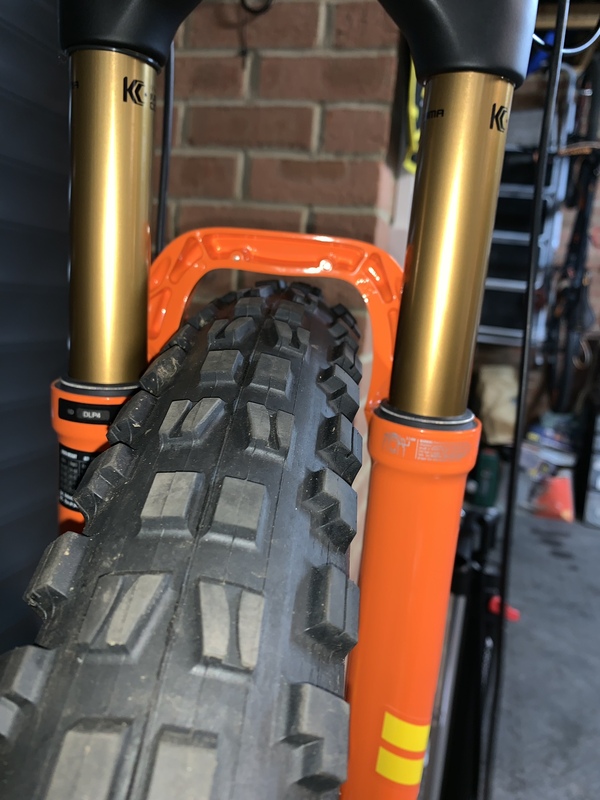 Just J, I just scored a brand new pair of 27.5x3.8 Hodags to try for winter use. What width rims did you run with those tires? Can I get away with a 45 or 50mm internal? Those tires work great on i45-i50mm rims. I put over a year in on that very combo myself. I used them on 45mm Arc45 rims, they worked fine. Awesome! Thanks both of y’all! Speaking of tyre and rims widths. I have just been in the garage and something drew me to look at the back tyre on both of my Waltworkseseses. I noticed that Payton’s (UW1) back Chupacabra was noticeably fatter than the XR2 on Maggie (UW2)! The Chupacabra is now approaching 3 years old, has covered around 700 miles, yet still has a lot of life in it. It’s mounted to a 35mm Arc35 rim. The XR2 has been on UW2 for maybe a month but it’s also on an i36 Duroc 40 rim. The measurements read 3.059” vs 2.963” on my caliper. Could be lot-to-lot variation on the bead-to-bead measurements. I wouldn't discount the 3 years of stretching vs 1 month either. 2.5 mm isn't much! When you measure tires you only go to three decimal places? LOL Some of us strive for perfection! I'm curious, is Walt still building a Warrior that'll fit 29x3 or 27x3.5? And if so, that bike runs a 83mm BB, correct? The good news is that Walt does custom frames. Just let him know what you want involved in the build and he will make it so. I can indeed do that for you. Most people (like Just J) have me do them with 73mm shells, but I can use an 83mm one if you prefer that. I’ll vouch for that Here’s a recent one in 29x3.25 mode. Get some while the gettin’s good! So simple yet so ingenious. Perhaps above all, so well executed. Are most of these "big pipe yoke" frames running 148 or 157 rear hubs to achieve fitment for 29x3.25 or 275x3.8? Guys. I know Walt does custom bikes. I've been following his blog and this thread for years. 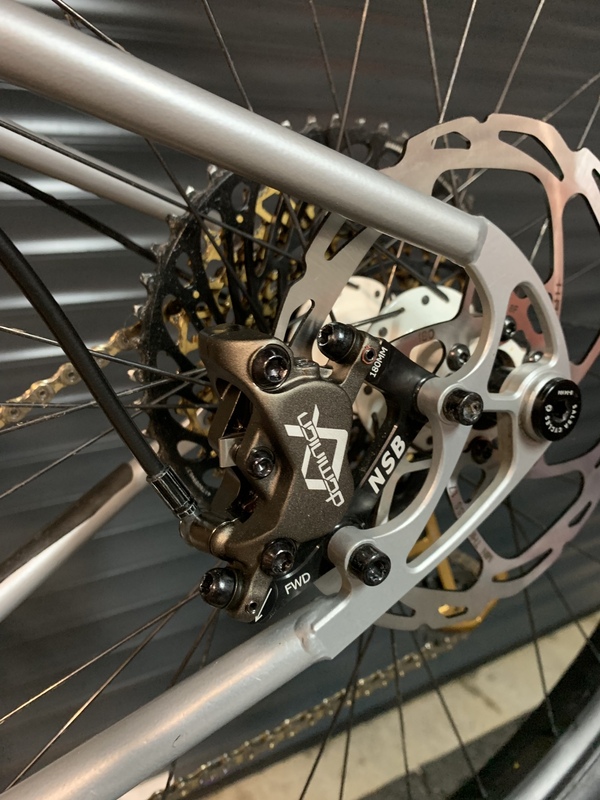 I'm just asking - are 148/73 a common request, or are more people moving to bigger rear hubs or BB spindles? Are people happy with tire clearance and chainline issues when running bigger tires (Hodag) with that combo? My UW (welded by me in Walt’s frame school) uses a 148mm rear, 73mm BB. 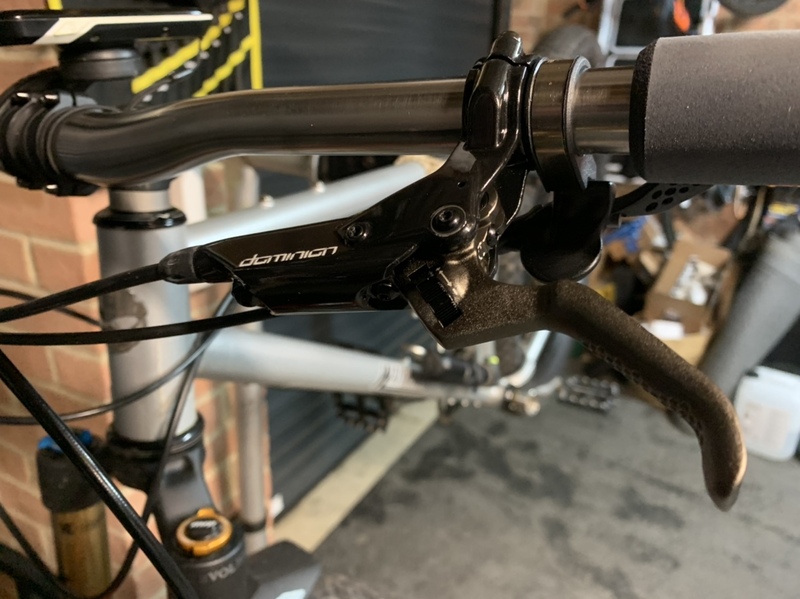 It barely clears an XR4 (3.025 actual width) with the swinging dropouts all the way forward (420mm chainstays). Haven’t tried a 29x3.25, but I imagine it would fit if I swing the dropouts back a bit. I have a set of 3.8 Hodags but no wheels for them yet. 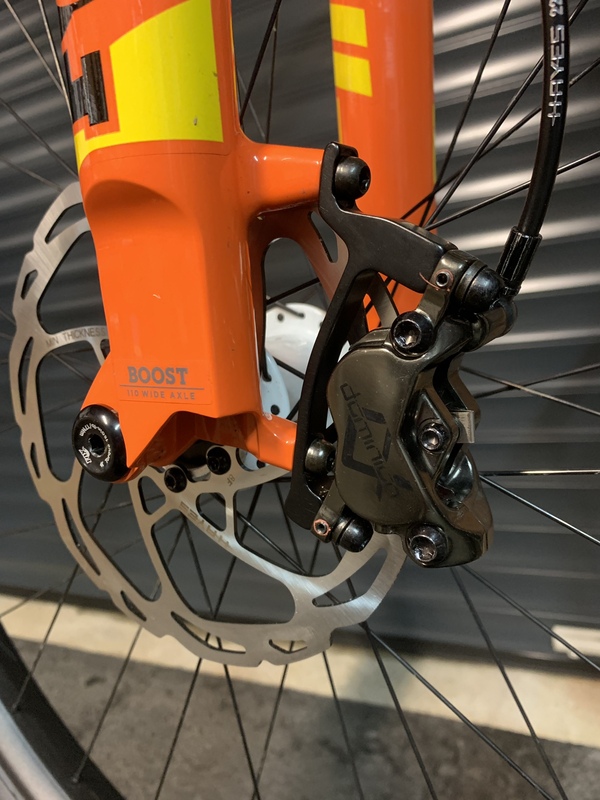 We talked about the compromise between chain line & rear hub width, but I already had 148 Boost wheels, and was mostly focused on 29+, so I went with that combo. Once I get wheels, we’ll see how it clears. Walt can obviously chime in on the technical details. Tyre clearance was fine on UW1 (148mm) with Hodags and although I’ve not tried them in UW2 (157), I reckon that there’s more clearance in that frame which surprised me. It all depends on what you want. On my last custom I went with a 157/83, which allows really short chainstays and reduces interference between the chain and the tire. 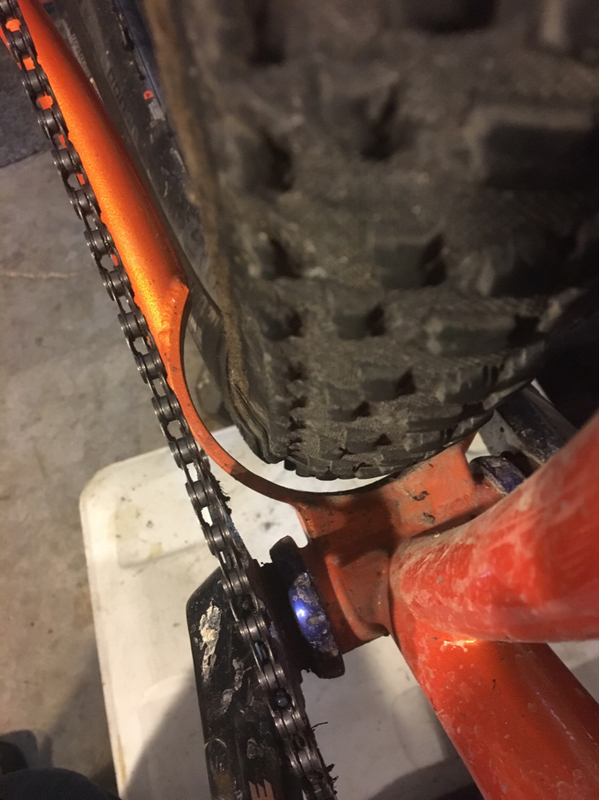 I think if you go with 148/73 and want to run a 27.5x3.8 tire you have to run a flat or flipped ring to get enough chain clearance, resulting in less than ideal chainline. If the shortest chainstays possible with 3.8 tires is important to you, I think 157/83 makes more sense without increasing the Q factor much. Just J, how long are the chainstays on Payton? 410-425mm adjustable on Paragon dropouts, Maggie (UW2) is fixed at 420mm. So your max chainstay length is barely longer than my minimum. Were the dropouts all the way back with Hodags? Any chain line issues?Just trying to sort out if it’s worth building wheels for the Hodags. 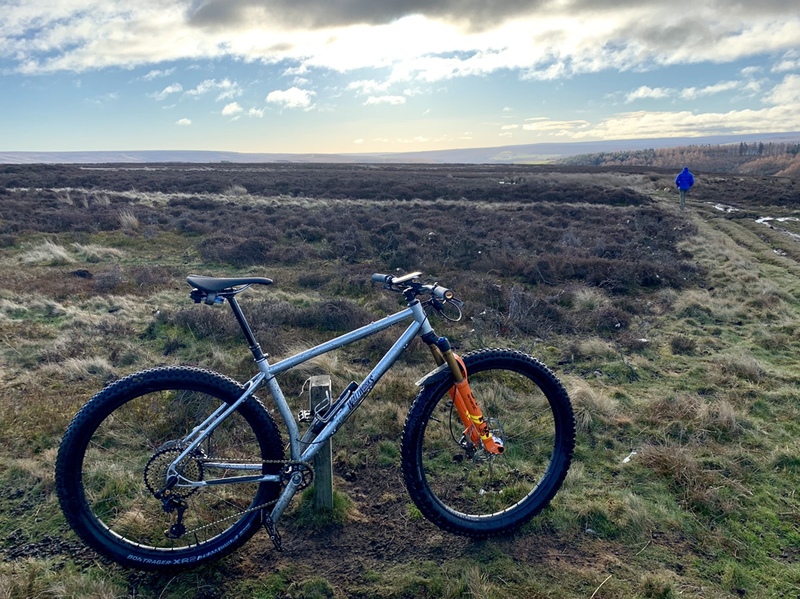 There was room enough for me to have options in terms of chainstay length with the Hodags. I tended to run them 3/4 of the way back if memory serves me. The only chain line issues I had was when I ran the wrong ring on there when I upgraded to Eagle, when I reverted back to the one Walt designed the bike around everything was fine. Makes me wonder if you couldn't do 157/83 to fit all of the 275x3.8's currently available and maybe some of the 4" tires. Anyway, I was just interested in the current state of max-tire fitment for 148/73 combos. 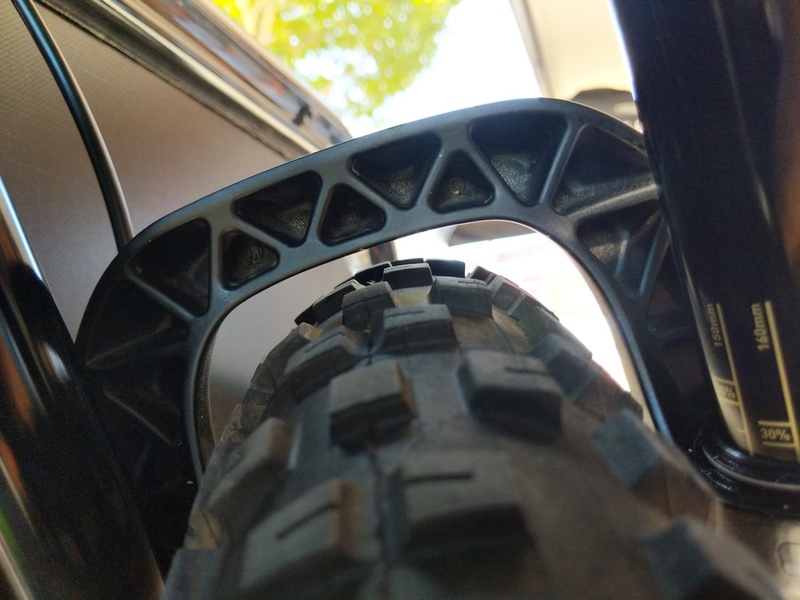 RSD recently announced they will be moving to 157/83 on the new Sergeant so they can fit all the 275x3.8 tires currently for sale, rather than just some tire in some situations, and keeping good chainline. I wouldn't go 148/73, I'd stick to 150/157 and then decide 73 or 83 BB. Plain and simple, chainline, even on a 73mm BB with 51mm chainline is biased towards the smaller cogs, it's only when you go to a 150/157 rear that a 51mm chainline lines up with almost the centre of the cassette. 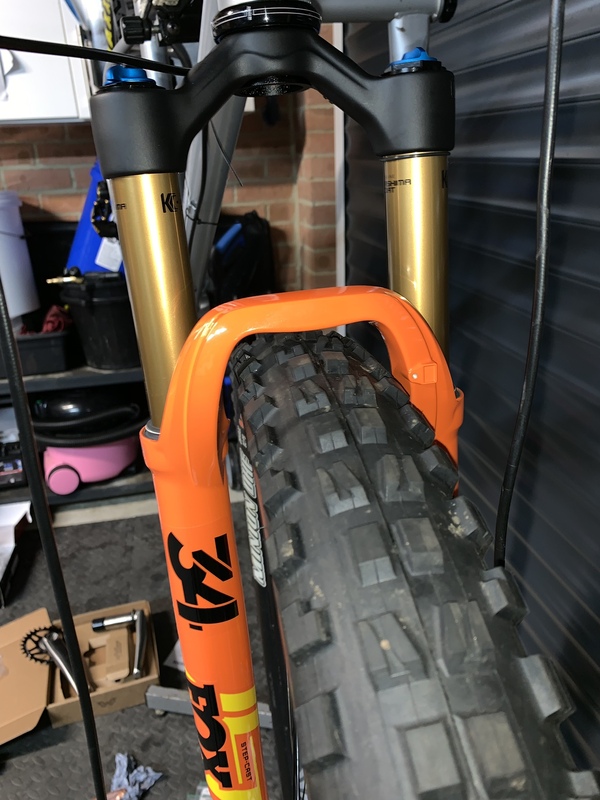 If you're worried about tyre clearance, you can just run the appropriate ring, oriented the appropriate way to achieve that, or use a crank with 3x spider and run the ring in the big ring position. Makes me wonder if you couldn't do 157/83 to fit all of the 275x3.8's currently available and maybe some of the 4" tires. Anyway, I was just interested in the current state of max-tire fitment for 148/73 combos. 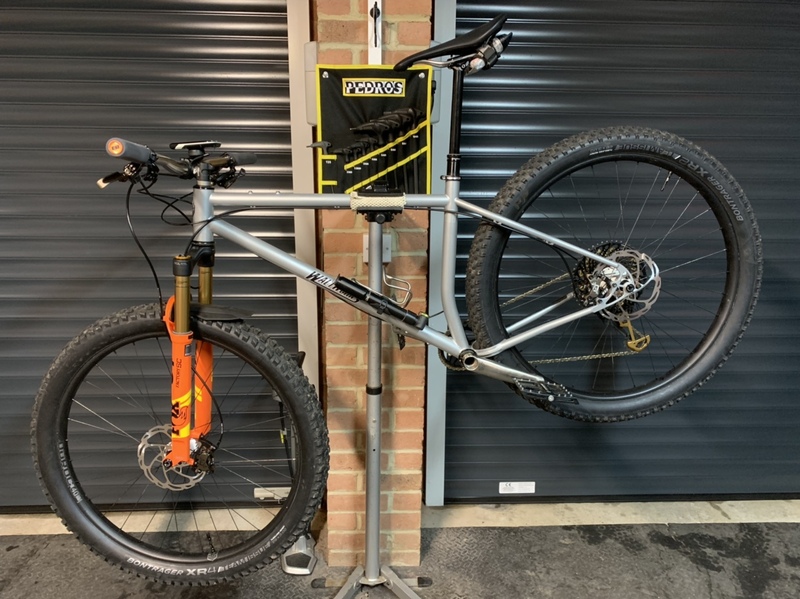 Can't/don't see why not, you can already get off the shelf frames with either 135 QR or 142x12 drop outs, just need to do as Banshee did and design the stays wide enough where they need to be to accept the wider drop outs. Why bother? If you build the frame wide enough to take a 157 hub, why try to put a narrower/weaker wheel in there? What advantage would you get by running a 148 hub in a 157 frame? 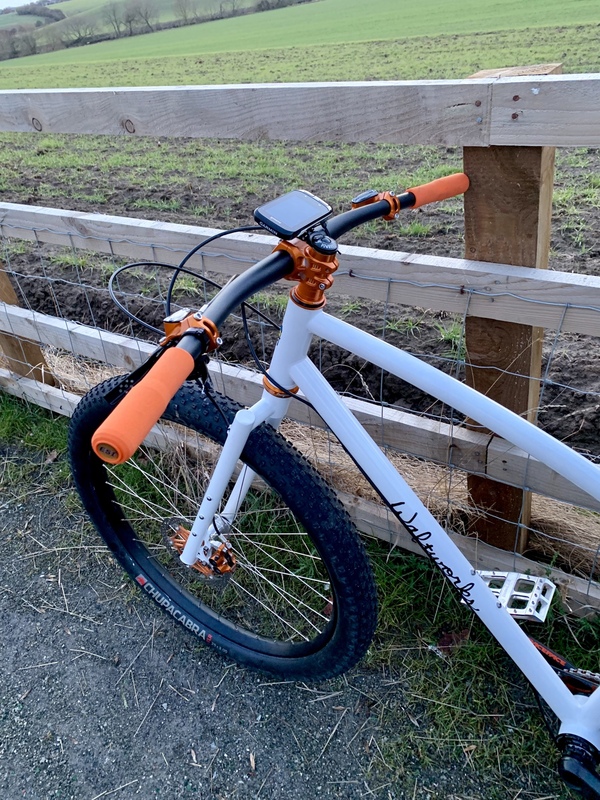 Well, I'll take the liberty of taking a stab at this one...maybe he already has a nice set of 148x12 wheels and just wants to use those for the initial build, but when he builds his wheels for the 4"> setup, he'll use a 150/157 hub instead for greater chain clearance. 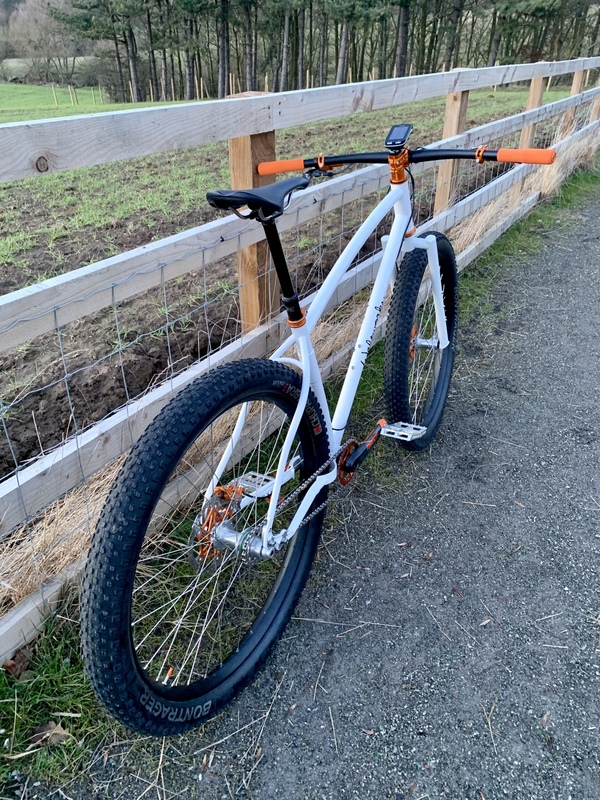 I know I did this when I built up my Phantom from my Prime, couldn't afford to build a new set of wheels, so just got the frame with the 135 drop outs, then when I could afford to build a new set, used a 150 hub and got the 150 drop outs, plus if then some other hub "standard" comes out in the future, it will just bolt right in if so desired with new drop outs. I'm a slow builder. I move parts around between bikes. It's nice to be able to wait around for good used deals but still have a bike that meets the needs of today. When you're spending $2000 for a frame you need all the versatility you can get. Or at least some of us do. It looks like you changed grips again. Change begins by doing something different. It looks like you changes grips again. Dummy, you're sposed to wait more than an hour to give people enough time to guess Was going to say brakes, as those rotors look mightly new and different and end of lever blades looks mightily thick. I guessed I missed the last change of the grips, but it is easy to see why I guessed. Awww I’m glad you care! Hey dummy! Well you’d have been correct (as ever!) wouldn’t you?!... Ha ha. They get very good things spoken about them and we’re a breeze to set up, I need to trim the hose but other than that they’re good to go and feel good. Back to the rear spacing stuff. 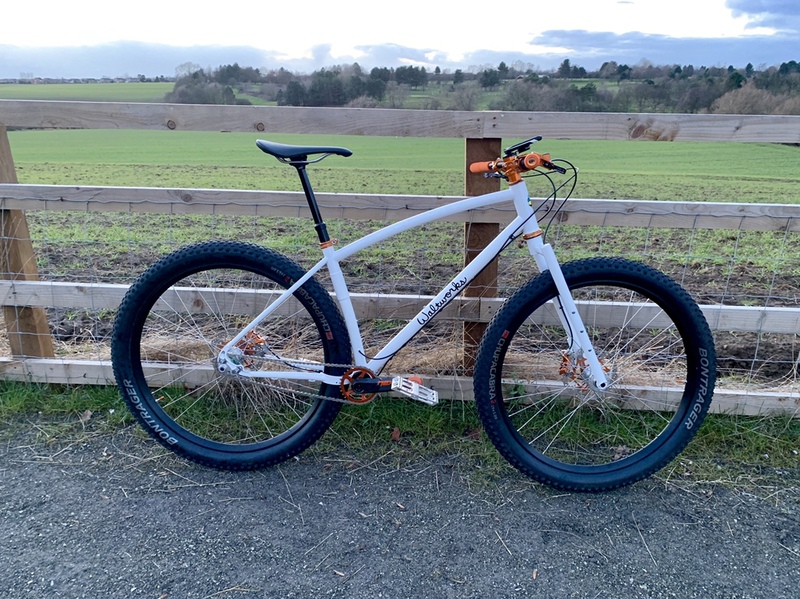 Walt strongly suggested that I might want to go with 157 on my GOB (Great Orange Beast), but since it was going to be a dedicated SS, and since I *really* wanted to run the Bontrager Line Pro 40 wheels, I opted for 148. Who knew that even as a SS I’d have to run the cog waaay out at the edge of the freehub to make the chainline work. In retrospect, 157 is probably the way to go. And some funky paragon 148/157 rocker/slider drop would be rad. I agree, 157 is definitely the way to go, the difference in wheel stiffness is very noticeable, especially as a Clyde. 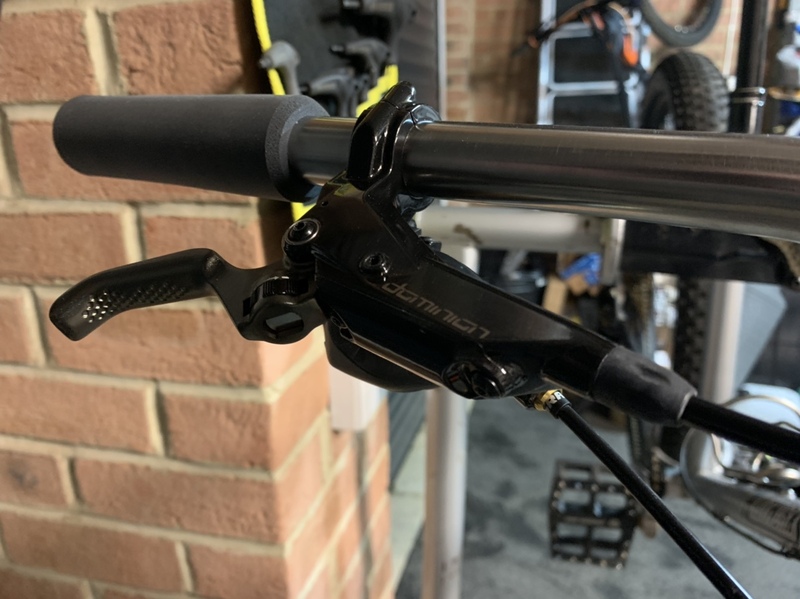 The PMW sliding dropouts offer a huge level of adjustability too. 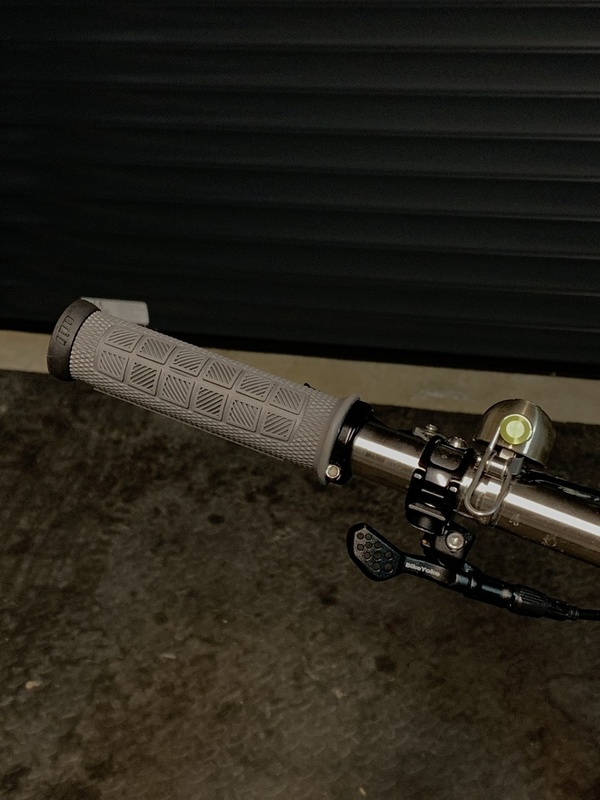 Damn J, appears you change grips as often as I change underwear. I wonder which stays longer, J's grips or Ben's bikes? .....Who knew that even as a SS I’d have to run the cog waaay out at the edge of the freehub to make the chainline work. What chainline are you running? A boost offset chainring on a 73mm BB is 51-53mm, which shouldn't be way out to the edge. I used to change my bikes as often! Yep, good point, but... Unless I'm missing something my limiting factor is how close the chainring gets to the yoke. I'm running RF Next SL cranks w/ the direct mount chainring flipped. Even that way, the 30t ring is just a few mm away from the yoke. 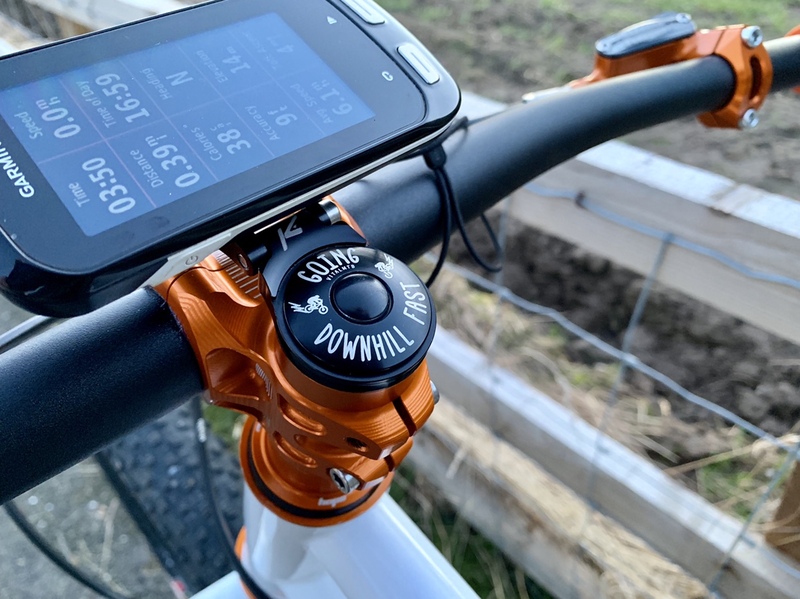 I'm running 30x20 w/ 170mm cranks and just checked the handy dandy Sheldon Brown gear calc and see I could run 26x17 for the same gain ratio... Maybe that'd give me the ability to flip the ring and move things inboard a tad. Thanks for giving me the idea! Yoke/chain ring clearance is an issue. I was going to run a 30T, but 28T was about as big as I can get with out rubbing the yoke. Oh well, 28/50 gets used plenty climbing the trails around here! So I got to ride a bike this past weekend and I bet you can all guess which one I picked up! Well that’s not too hard nowadays as I’ve paired right down and only have my two WW’s these days and I’m feeling better for it too! 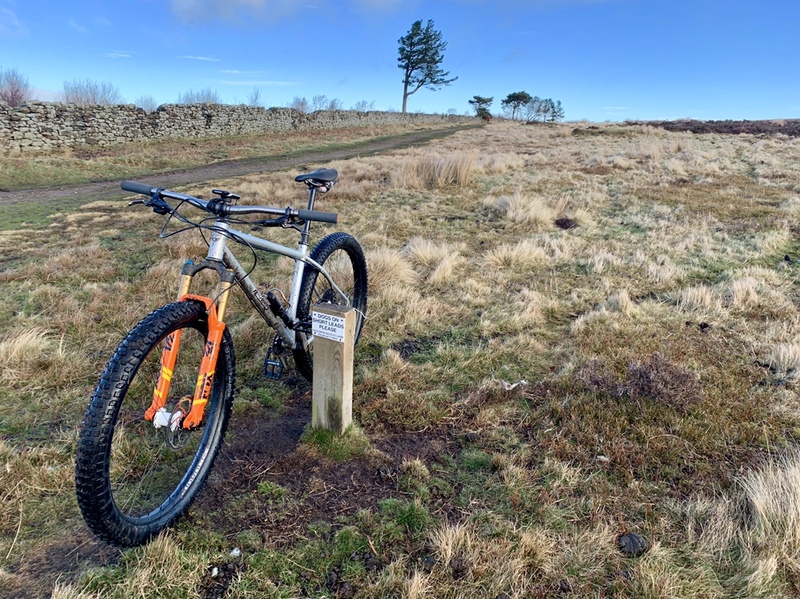 I only had a couple of hours as I needed to open up but I managed my local route that was very wet but awesome given that I haven’t ridden in almost a month. Got to try the new brakes out and they work very well out of the box and just got better throughout the ride. 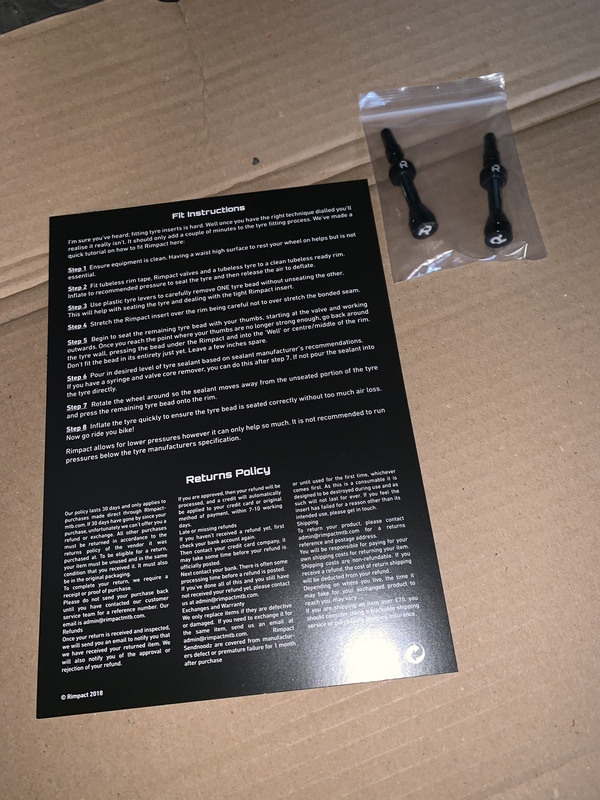 I love how easy they are to setup and space correctly with their grub screws and I love the way you can tailor the lever feel very easily and exactly how you want it. I like my levers to feel very positively, very quickly into the pull, it was a cinch to get them where I wanted. I’m not entirely sure why the front brake is matte with dark logos and the rear glossy with white logos but hey ho, maybe they’re supposed to be like that and I’ll live with it. Someone did somewhere down the line! Things about to get sweary up in here! While they are clean practice how you'll carry them bandoleer style on your body when you flat and have to pull them out to put a tube in. I've watched quite a few riders with inserts have to do that and it seems like they could have benefited from a bit of practice before the insert was saturated with sealant. I got peer pressured into this, I don’t even suffer from pinch flats very often at all so I wouldn’t count on these being on of my sworn by mods. Sworn at, no doubt however! I’ll be sure to do that, once he’s agreed to buy them off me and after the skin on my knuckles have healed! I didn't even know there was a 29+ option for us. Hey J, what tire and rim are you running through that Fox 34? How's the clearance? Sorry if you already posted answers... I admit I didn't scroll through all 16 pages... Thanks! Meanwhile I received my new 29+ wheels (courtesy mikesee at LaceMine29). Fork was shipped today (also courtesy Mike), expected to arrive late this week. When I received the new wheels, I mounted the tires and OMG these things are smack dab in the middle of monster truck territory. 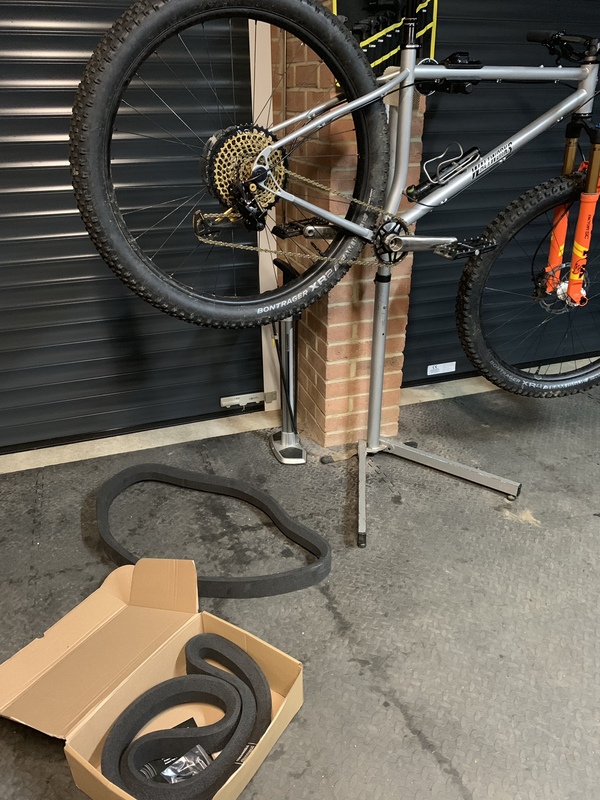 For the heck of it I pulled my Smash's current front wheel (29x2.6" tire, i30.5 rim) out of its 160mm Pike 29" fork to check fitment of the new 29+ front wheel -- knew it wouldn't fit but whatever. No kidding! Fork bridge just rested atop the tire; couldn't even settle the axle into the legs' TA receptors. Somewhat aghast, I stepped back & poured myself a beer, shaking my head & mumbling. These wheels & tires are HUGE. Made me wonder how your system fits. I'll jump in ahead of J. On an i30 rim the XR4 fits inside a 34SC, but clearance at top of arch is marginal. Ok for dry trails with not much debris maybe, which is the opposite of where the XR4 shines. XR2 on same setup is fine FWIW. Thanks, alixta. 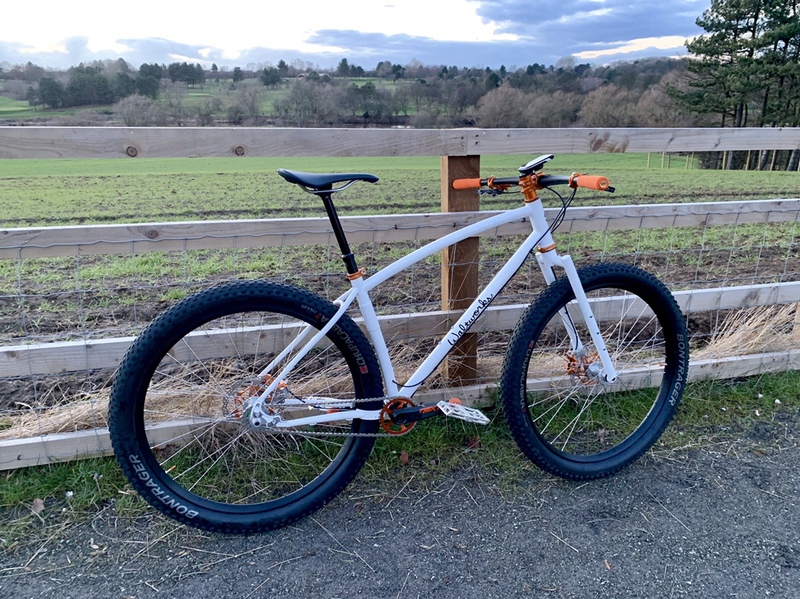 My new 29+ beast will be my off season bike or as we often call them here in the PNW, my mud bike. So I'll need plenty of fork & frame clearance. Eager to see how well this gigantic wheel fits in the Lyrik. Mike indicates no problem. The reason I'm asking J about his Fox is I'd originally considered getting a 36 for this build. Frame clearance won't be an issue inasmuch as I'm going custom. Thanks again. Here are some unscientific photos of XR4 29x3.0 on i30 in a Yari. 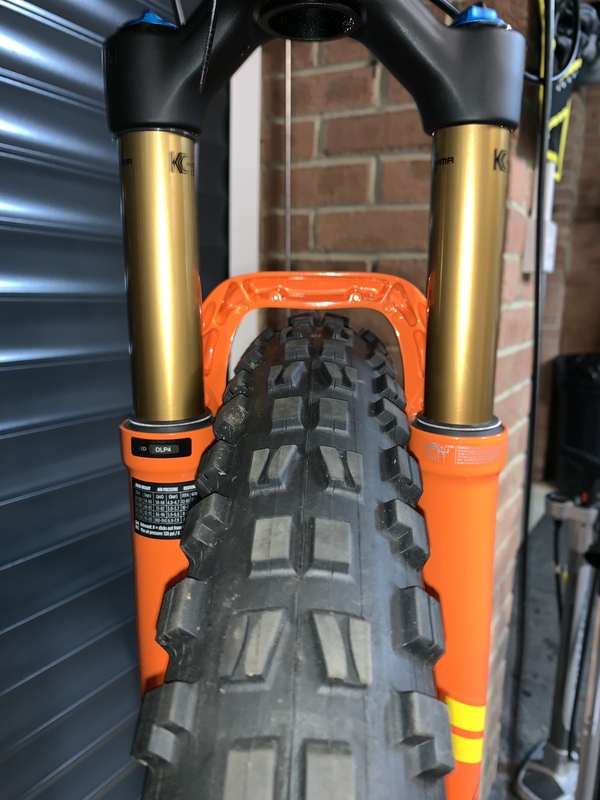 I just checked the specs on Rockshox and it is now showing as a 29+ fork. 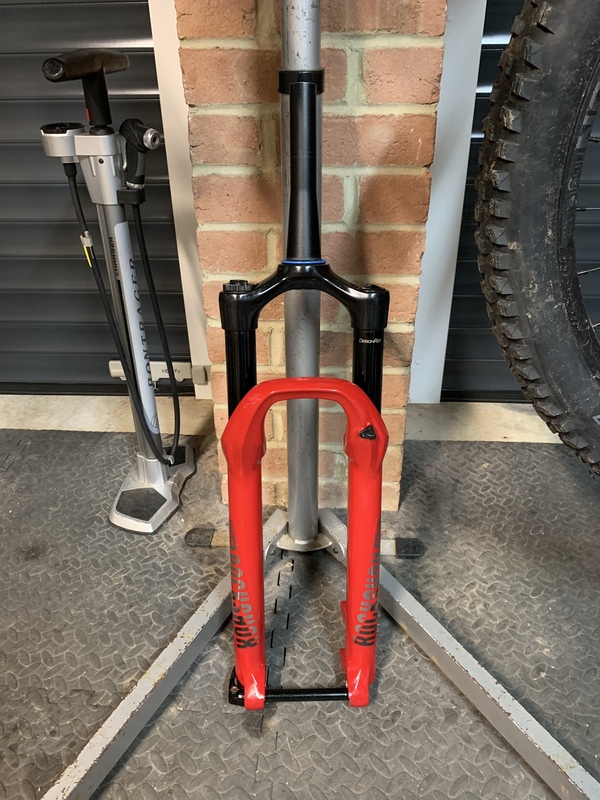 I am almost 100% certain when I bought the fork second hand (it has 'G2' geometry sticker) it was listed as a 27.5+/29 boost fork on that very same page. I recall because I was so chuffed my 29+ tyres fit when they weren't officially supposed to. Anyways. 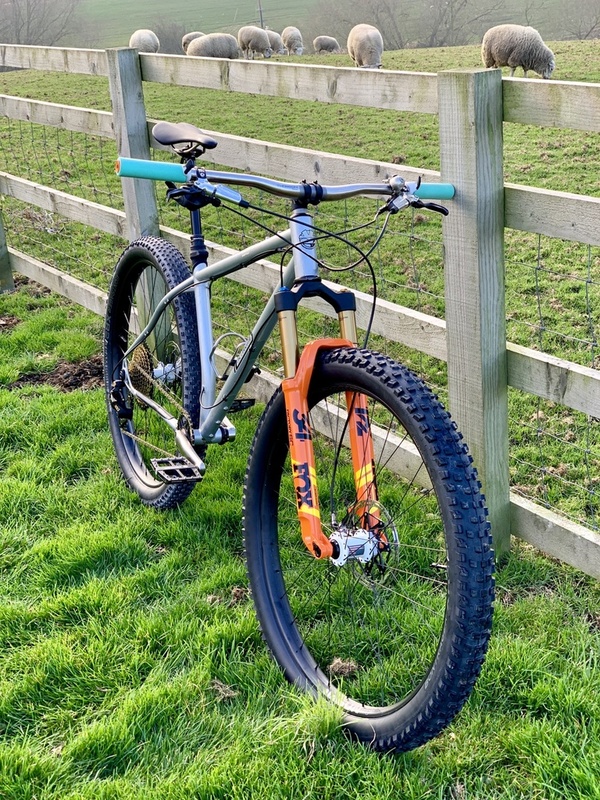 Sounds like a great wheelset, the Arc rims have definitely been my favourites so far and I’m sure that’s going to be a rock solid setup for you too. I know you’re questions have been answered in my absence (a guys got to sleep you know!) but I echo what’s already been said. 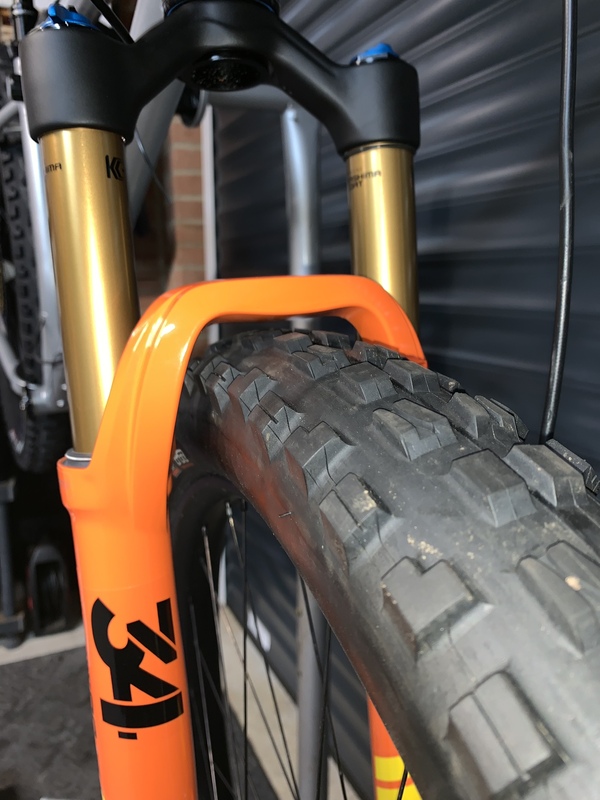 I’d say that the clearance is just adequate, slightly better on the SC fork than my previous 34 but there’s not much in it. Although I have been running throughout the British winter with no issues. My rims are i36 Durocs with a XR4 up front. When you get your lyriks I'd be interested to see what they are named on their sram trailhead page. As crazy as it may sound to some, yes. 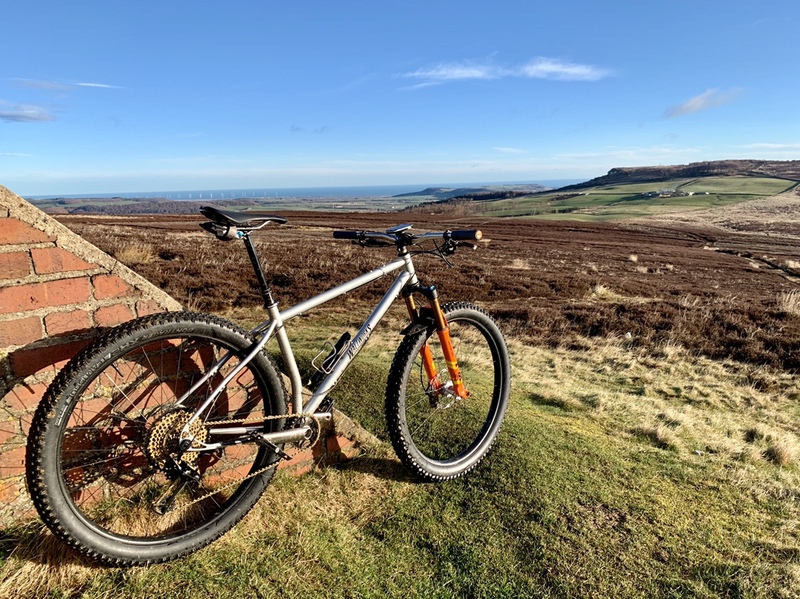 I've been riding a Kona Honzo with a 160mm Fox 36 for a few years now and like it fine, so personally I'm not afraid of a long travel hardtail. Once I get my new Addiction (ha -- I like the sound of this), my old Honzo will become my "new" singlespeed. I never ride my ancient '07 On One Inbred 29er SS anymore; given its antiquated geo and rubbery frame, I don't know how I ever did. 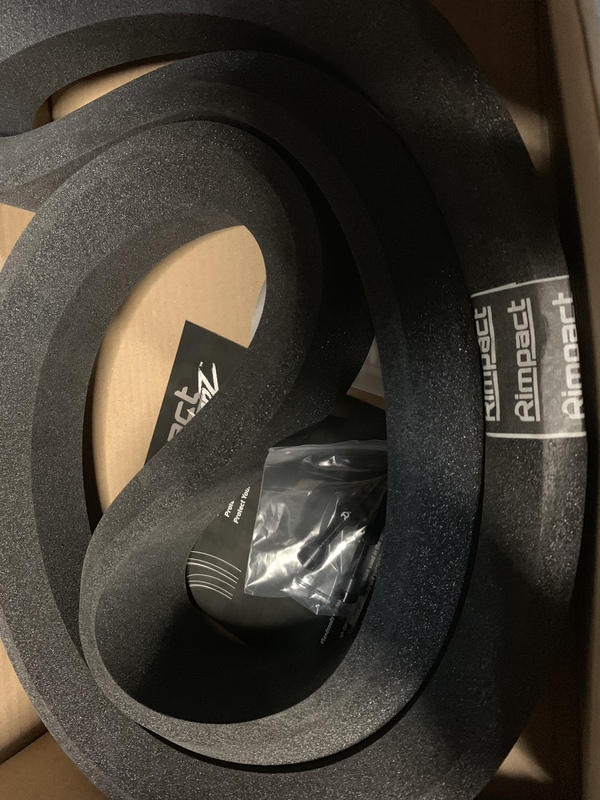 Another opportunity for changing your grips! Life has been really busy lately, good busy but riding has taken a back seat I’m afraid. I also sold my quiver, because I just wasn’t riding them, obviously I kept both of the Waltworks. 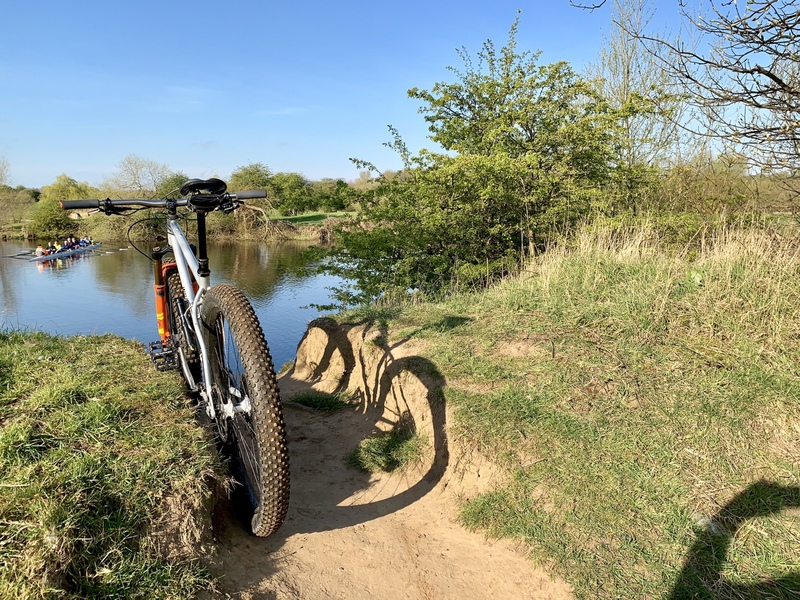 It was just a local ride but I’m lucky enough to live in a house that backs onto a pretty fast and flowy trail network surrounding the town in which I live. 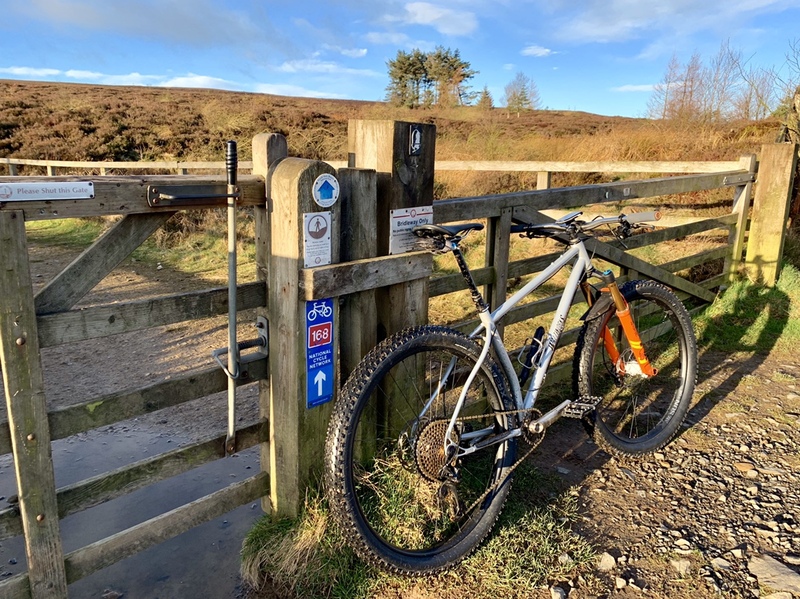 When the weather is good and ground is dry these trails are a pretty good training route. I managed to ride 11 miles and put a smile upon my dial. Always a good thing! 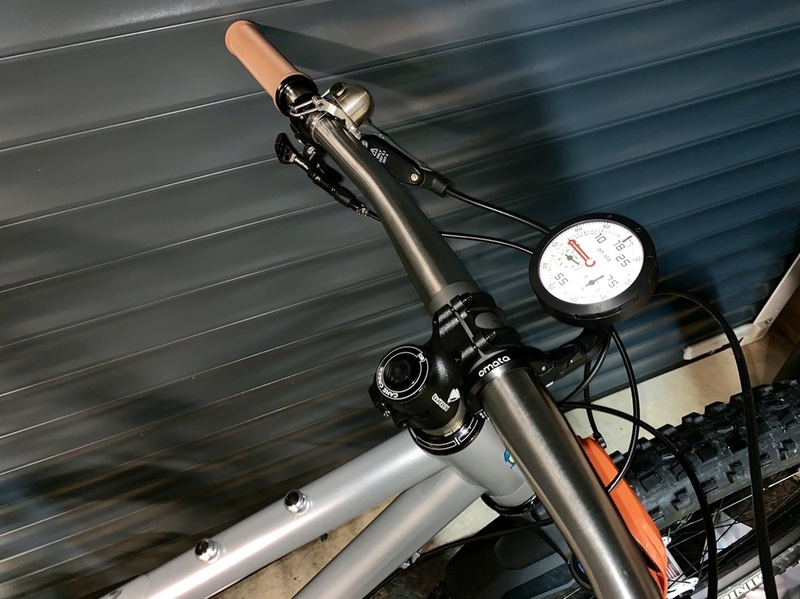 All thoughts of other bikes were dispelled the moment I hit the dirt with those 3 point O’s, I felt like I was riding 100mph everywhere and I was hitting things fast and confidently. So good to be back out and to have my WW off road! FedEx dropped my Lyrik off a few days ago while I was out of town. Meanwhile my riding buddy & framebuilder was visiting my town so he stopped by my place and picked up my fork & wheels so he could take them back to his shop & start building my frame. He lives/works 3 hours north of me -- now my fork is gone and I haven't even seen it yet! Not likely to for some weeks. Meanwhile your Lyrik looks nice, J. You got red! I don't know what color mine is... only know it's not red! Ha! So what are you going to do with that red thing, anyway? Replacing your Fox? Good to hear that your build is underway! The red thing came from Mikesee’s latest Lenz sale, it’s set to 150mm travel and I was intending on using it on a Behemoth although I’m still deciding on whether or not I need one... It’ll come in handy on a future build I’m sure. 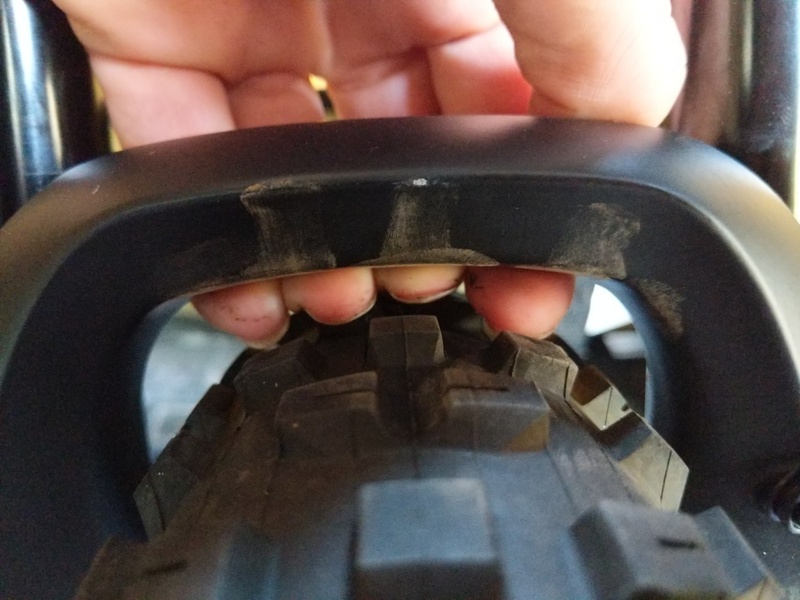 So, that's a negative on having any decent feedback on those inserts then Good to hear you got out for a ride, same $hit happens to me when I can't ride, start browsing and seeing stuff online and have to use lots of self control to not buy. Life has been really busy lately, good busy but riding has taken a back seat I’m afraid. 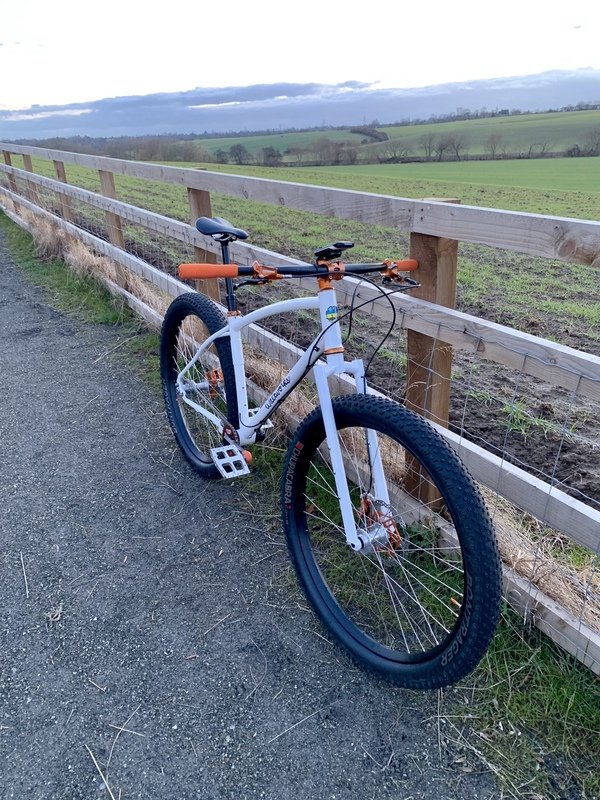 I also sold my quiver, because I just wasn’t riding them, obviously I kept both of the Waltworks..............It was just a local ride but I’m lucky enough to live in a house that backs onto a pretty fast and flowy trail network surrounding the town in which I live. 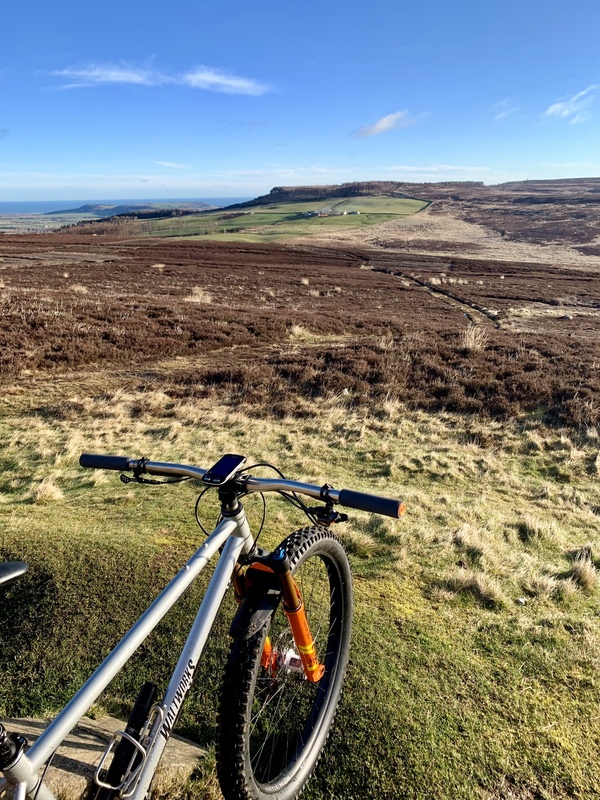 When the weather is good and ground is dry these trails are a pretty good training route. I managed to ride 11 miles and put a smile upon my dial. Always a good thing! Let's see those Waltworks !!!! !